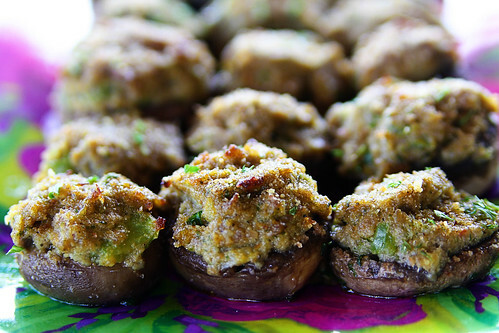 Ever since I saw a recipe for stuffed mushrooms on the Pioneer Woman’s blog, I’ve wanted to make them. They looked so yummy! But – I am *not* a fan of cream cheese. Ick. I don’t even like cheese cake. So I searched high and low for a recipe *without* cream cheese, and this gem from Emeril Lagasse is definitely a winner. These babies were gone so quickly! 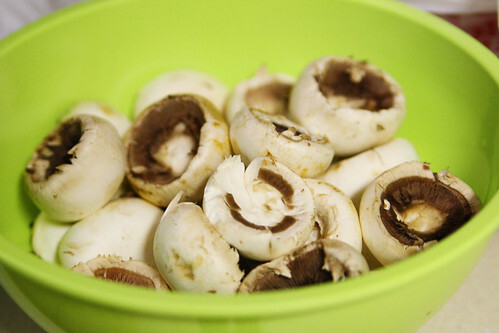 Put the mushroom caps in a small bowl and drizzle with 2 Tbsp of the olive oil, rubbing with your hands to evenly coat them. Brown the sausage in a skillet. 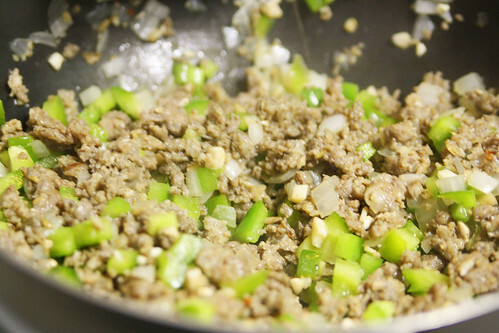 Add in the bell pepper, onion and mushroom stems and cook until softened. Add in the garlic and cook until fragrant. 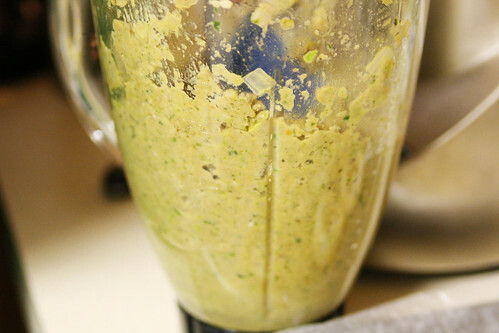 Transfer the meat mixture to a blender or food processor. 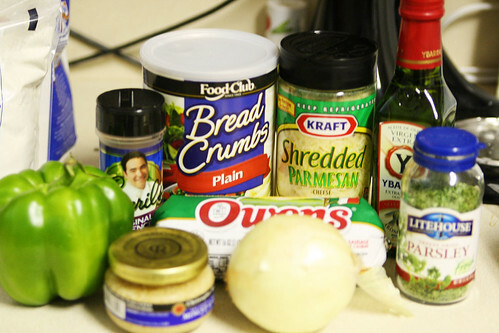 Add in 1/4 c bread crumbs, 1/4 c Parmesan cheese, 1/4 c parsley, Essence and 2 Tbsp olive oil. Pulse until the mixture is smooth. You may have to stir it a few times to ensure that it’s blending evenly. 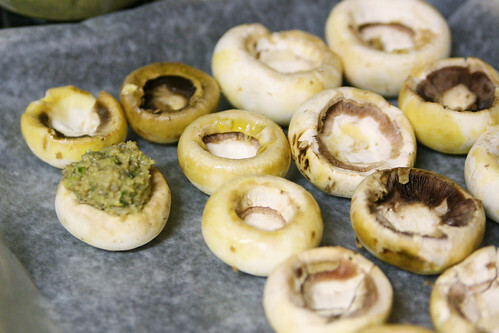 Fill the mushroom caps with the sausage mixture, heaping some on the top. Sprinkle with the remaining bread crumbs, Parmesan and parsley. 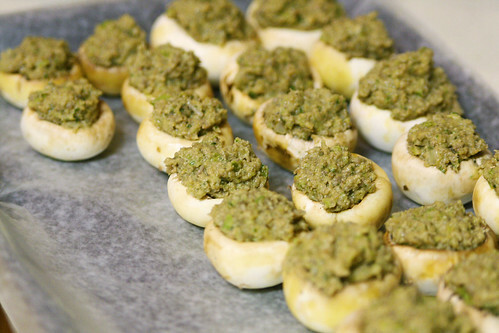 Bake 15-18 minutes, until the tops are golden brown and the mushrooms are tender. 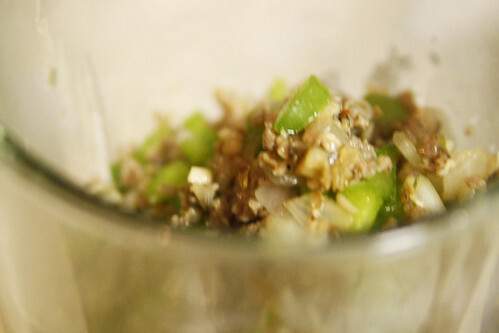 You can also make these ahead of time and freeze. Then, you can just heat them up the day of your party! 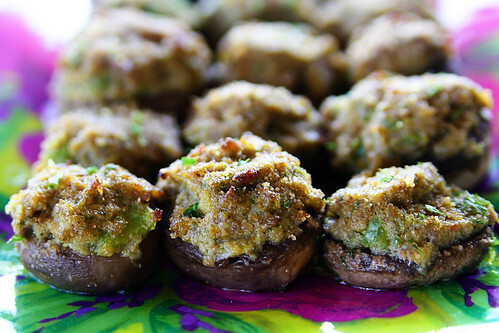 These Sausage Stuffed Mushrooms are so flavorful and addicting. You won’t be able to stop at just one!